An anthology of shooting articles from Shooting times in the 1960s still with great relevance today. 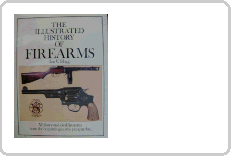 Big hard back book covering the history of arms and weapons. Small A5 size hard back, no dust cover. Hardback 1981. 43 modern rifles and 35 sub machine guns photographed in colour, 35,000 words. Hardback 1977 A good reference book. Hardback 1965 ex library book, no dust cover, good pics antique fire arms. Paperback. 30th anniversary 1976 deluxe edition. Hardback with 86 illustrations by the author. Hardback Very good instruction for anyone who wants to correct target shooting technique. BOOKS FOR SALE All prices shown include postage. Hardback. A history of all types of weapons from ancient clubs to nuclear weapons. Hardback. Excellent reference book with superb pictures. 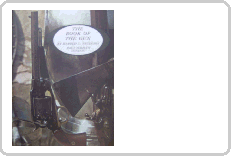 Two books "Militaria arms and armour" 1983 by Tony Curtis 448 pages compehensive information on edged weapons, flintlock and matchlock weapons, militaria and percusion weapons. 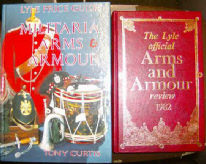 The book on the right ""Arms and armour review 1982". SOLD TOGETHER FOR ONE PRICE. 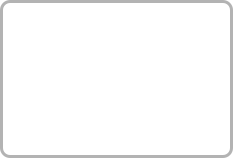 A pictorial archive of woodcuts &engravings Over 1400 copyright free illustrations for artists and designers. 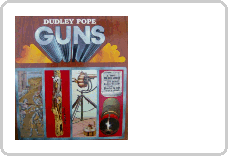 Superb general book of guns, shows some antiques including the finest air gun ever made. Published 1977, hard back, no dust cover. User handbook for RIFLE 7.62mm, L1A1 and 0.22inch calibre, L12A1 conversion kit, 7.62mm rifle Paper back.